CIOs often face challenges in evaluating technology vendors and identifying the right strategic vendor for their IT needs. CIOs prefer vendor solutions which are able to provide business growth in dynamic and agile organizations. In this era of rapid technology growth the focus of vendors’ is normally more on system usability and features rather than fulfilling CIOs concerns on strategic IT. In this post, top 10 questions for technology vendors are provided which is intended to help CIOs in identifying the right IT vendor. Business companies look for ways to increase efficiency and maximize their value. There are many examples to demonstrate the role of IT as an enabler for business. For example, e-commerce, web based applications, cloud computing, etc., to name a few. Vendors have also understood this well, and most of the vendors are quick to talk about their product features for its business benefits without understanding customer requirements or market demands. According to IDG Enterprise survey 2015 titled CIO Role and Influence Research it was found that in some of the CIO or industry gatherings, vendors fail to understand the specific business goals and challenges from CIOs. Vendors tend to talk more and listen less to CIOs and the much intended focus on achieving business objectives using technology is often lost. From the technical perspective IT is undergoing fundamental shifts in technology where a variety of technologies are converging on business – some CIOs see them as disruptive. These trends create certain unique challenges for CIOs to identify strategic vendors for the organization. Strategic vendors are those that offer highest quality of service, understand business objectives and goals of customers and offer superior and proactive post-sales support and service. It has become highly imperative for vendors to understand what exactly CIOs look for in their products and how their products can meet business goals easily without stretching IT budgets. The role of CIO in any organization is highly challenging and critical because they play the role of bridging IT and business in order to enhance value for both. Therefore, CIOs by asking the right questions to vendors can maximize return on IT investments by implementing the right solutions that ensures business growth and value. How the new system or technology can adapt with increasing tech savvy workforce? How can the organization capitalize opportunities in this era of data growth (big data)? Will the technology be able to integrate existing legacy systems and data? How can new technology adoption drive business growth? Can the solution handle integration across platforms? Is employee training included in the implementation cost? Can the vendor support the system for a period of time without any additional cost? How secured is information or data in the system/application? What are the recovery options and DR plans and how will data security fit into those plans? Will the solution ensure performance, availability and uptime? CIOs look towards leveraging technology in a cost-effective and secure manner in order to improve productivity and efficiency within the organization. CIOs can use the above questions to evaluate potential vendors and identify strategic IT vendors for business growth and technology innovations. This entry was posted in CIO and tagged cio, cio strategies on March 2, 2016 by admin. The success of IT in an organization will require commitment from business managers who stand to benefit from technology. Unless business executives take responsibility for IT’s success or failure in achieving business impact, the role of IT will remain elusive. The main responsibility for CIO is to deliver systems and implement IT projects on time within budgets that has high usage potential and can ensure business growth. It is now the responsibility of the CEO or business executives to make organizational changes required to realize business value from IT. For many years, business executives are often frustrated with IT personnel due to the failure of IT to accurately understand business needs. IT department in organizations is often viewed as more focused on technical management. Organizations, in order to succeed in digital business scenarios must focus their IT on areas where it will create maximum impact. This is possible only when CIO and IT functions work alongside business in customer facing solutions, data and tools that will provide insight and intelligence and technologies that can penetrate new markets and enable new offerings. 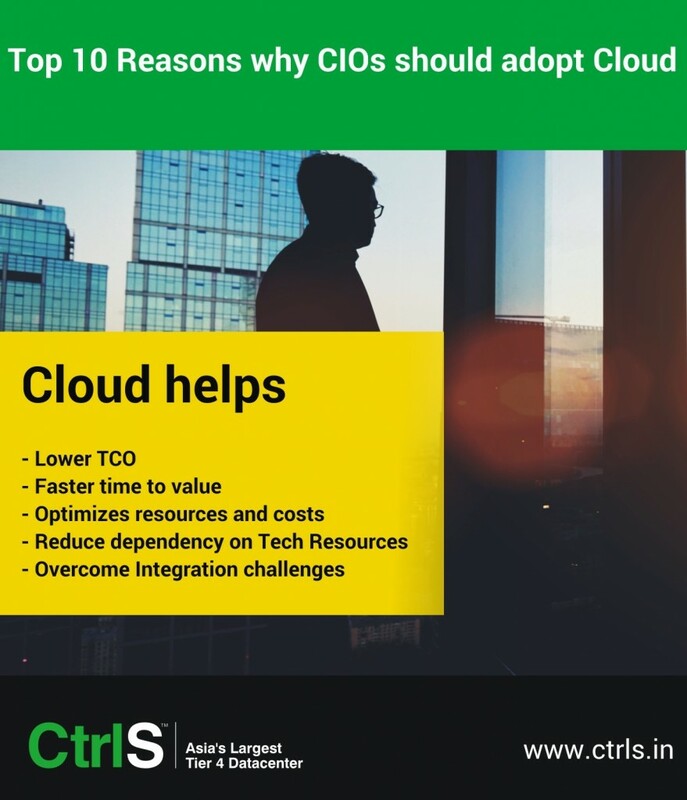 In one international survey done by Forrester Research Inc, it was identified that most of the decisions related to purchase and IT capacity sourcing or co-location in data center companies is done by the CEO instead of CIO. This survey involved senior level decision makers from companies of different sizes. In the digital age organizations focus on using technology to enable new capabilities, create revenue, enhance customer satisfaction and so on, hence the CEO ultimately makes the go or no-go decision for IT deployments by weighing on recommendations from the CIO. IT executives and CIOs are the right people to decide on IT management in terms of technology standards selection. This decision involves building the infrastructure, designing the IT operations for the company and following standards in implementing new systems and applications. In spite of IT’s important role in establishing an enabling environment for business operations, decisions that have an impact on company’s business strategies must not be given to IT department or to a CIO by default. In the dynamic business environment where decisions are driven by consumers, it has become highly essential for IT to work alongside business to identify opportunities where technology can create value and accelerate business value. In this scenario, decisions need to be made more broadly to foster business growth and not just a normal IT decision made by a CIO. In order for a CIO to generate full value of their IT investments and to avoid IT disasters, given below are some important decision making areas where the CIO should not take leadership responsibility or accountability. IT spending strategy: IT funding is an important aspect where executives often ponder on the question whether IT spending is high or low. One standard approach to determine appropriate IT spending is to follow the industry standards and benchmarks. There are companies where IT spending is quite high but has failed to develop the right IT platform to execute business strategies. In such situations, the management defines the strategic role played by IT and appropriately determines funding levels required to achieve those strategies. Companywide IT Capabilities: CIOs must understand that flexibility in business units becomes limited if their technical and process standardization is above normal limits. Excessive standardization results in frequent exceptions in IT which can increase costs and minimize business synergies. The management or CEO takes the call on deciding whether to have a centralized IT capability or to have IT systems developed by individual businesses. IT investments and funding: IT becomes overwhelmed when many projects are implemented simultaneously. IT can lack focus when many projects that have less companywide value are scheduled to be deployed simultaneously. Therefore, the CEO or senior management will decide on which IT initiative is funded on priority and which is not funded or scheduled for later funding and deployment. IT services strategy: In certain circumstances companies end up paying more costs for service options which are not worth the money spent. For instance, system characteristics such as responsiveness, accessibility and reliability will incur costs. In such situations, the senior management will decide on spending for various IT features and services. For example, improved reliability, response time, etc., forms the basis for costs and benefits. Acceptance level of risks: IT risk management is a tricky area because if security and privacy is overemphasized this can cause inconvenience to suppliers, customers and also employees. Likewise if security is underemphasized this can make data vulnerable. To ensure a secured environment, the CEO decides on the trade-off between convenience and security. Accountability on IT failure: When there is an IT failure the business value of IT is ignored. In order to monitor business metrics, a business executive must be made accountable for every IT project to overcome disruptions while achieving business metrics. The above decision making areas suggest that CIO does not make decisions alone in the organization on strategic use of IT. Business decision making in organizations is based on their governance approaches, structure, strategy and culture. For example, IT spending decisions are made by a budgeting process which is approved by the senior management. Decisions related to IT architecture and associated standards are made by the CIO in coordination with business executives. A good governance structure will identify a person responsible and accountable for critical IT decisions and apply uniform principles for the role of IT in the organization. This entry was posted in CIO and tagged cio, cio tactics on March 1, 2016 by admin. The role of CIO in organization is very critical because CIOs play a major role of transforming business to result in enhanced value by the use of technology. CIOs plan technology implementations to drive new business initiatives and generate new revenue streams for maximizing business value. CIOs make use of new technology trends to enhance business and also transform challenges into opportunities. The CIO predictions for 2015 and beyond are provided. In the current scenario, technology has enabled business companies to become highly distributed. Organizations face a new set of challenges in the current context of globalization and in free markets. The challenges are mostly related to the ability of organizations to capitalize on potential business opportunities, people and resources in distant markets. New sets of challenges arise when operating business in distant markets and they provide a dilemma to both CEO and the CIO. While planning IT systems for business processes, CIOs often face the problem of delivering acceptable IT services using existing resources. CIOs also face challenges in using IT to generate business value. They often come across fundamental questions like, investing more money on infrastructure, using IT to drive new business initiatives and/or consolidate at the expense of user experience and save cost. Flexibility: Businesses look at IT to support business to respond effectively to opportunities and challenges presented by the market. It must also provide models for business to develop strategies for making use of new opportunities. Many global enterprises make use of IT to achieve value quickly. Simplicity: The increases in technology implementation must not led to more complexity, in fact just adding more storage or bandwidth may not always provide as an acceptable approach for business to compete. To ensure simplicity, CIOs may consider investing in technologies like data protection, virtualization and wireless connectivity, and so on to compete effectively in competitive markets. Simplicity refers to making an assessment on where to cut costs and take business forward. Security: Security refers to the protection of systems and information from threats (viruses, worms, etc), disasters (natural or manmade) and from hackers with malicious intent. IT must ensure that business is able to prevent and recover as quickly as possible from threats. Business continuity: Business expansion across geographical boundaries has increased the need for anywhere, anytime access to IT. Applications must be available at all times (24×7) and therefore, delays or loss of data for any reason can lead to adverse consequences for businesses. IT needs to ensure business continuity by ensuring IT service availability and reliability. The business imperatives for IT and trends in new technology take us to having a closer look at CIO predictions for 2015 and beyond. IDC in October 2014 hosted a web conference named IDC Futruescape: Worldwide CIO Agenda 2015 Predictions to highlight the predictions for 2015 and beyond. Based on this conference and IDC FutureScape report CIOs and company leaders can capitalize on emerging business opportunities and plan for future growth. CIOs will spend maximum time in analytics, cyber security, and creating new streams of revenue through the use of digital services. By 2017, CIOs will be spending 80% of their time in these areas. IT-as-a-service (ITaaS) will be required by organizations to achieve global competitive strategies. IDC predictions indicate 65% third-party ITaaS adoption by enterprise organizations. The top business priority for CEOs of global enterprises is security. CIOs will use DevOps as their primary tool to effectively engage the speed and sprawl of mobile, cloud and open source applications. IDC suggests that by 2016, CIOs will be able to deliver new frameworks that enable innovation and improved decision making in business. Global organizations by 2020 may move the position of CIO to be named as Chief Digital Officer (CDO) for the delivery of IT enabled products and digital services. CIOs in order to counter premature expiry of IT assets may accelerate the existing infrastructure to third party platforms. By 2016, 80% of CIOs are likely to make this step. CIOs in global organizations are in the process of developing a pan-enterprise data and analytics strategy. Third party platform technologies used for vendor relationships are quite likely to fail. This failure will result in CIOs rolling out new sourcing processes. CIOs favour open standards and frameworks instead of traditional mode of technology control. The IDC study provides top decision imperatives for CIOs in 2015 and beyond. These predictions are based on strategic contexts on how CIOs apply technology to business challenges and transform challenges into opportunities in the enterprise. This entry was posted in CIO and tagged cio, cio predictions 2015 on April 9, 2015 by admin.